You’ve all heard about the theory of continental drift, right? 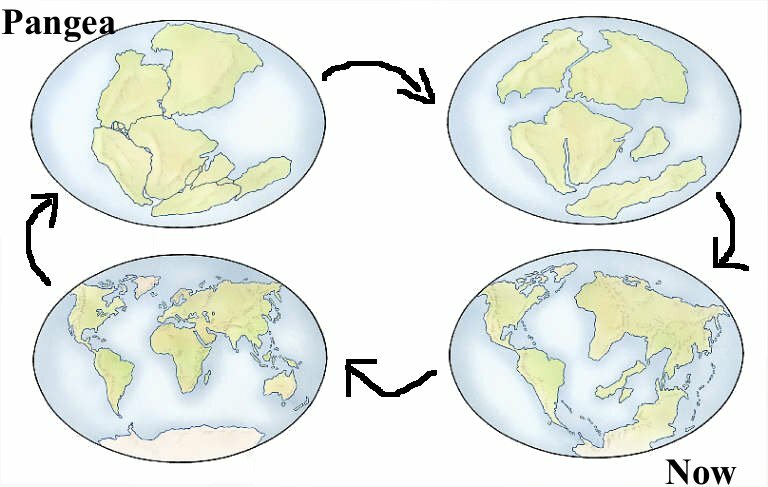 You’ve heard of Pangaea and how the tectonic plates move around? This is something I remember learning about in elementary school and have always thought of as a theory that has been accepted universally for hundreds of years or so. When we look at world maps, it’s so obvious that the continents would fit together like a puzzle. I recently learned on a visit to Columbia University about the work of Marie Tharp, a woman who worked at the university and made breakthrough ocean floor mapping discoveries that started this theory. Marie’s map wasn’t published until 1959. This was one year after my father was born. He was born into a world that didn’t know about tectonic plate movement or that the seven continents used to be one big continent. To me that’s like being born into a world where most people still think the Earth is flat. In addition to Marie’s work dramatically improving human knowledge of the Earth, her work was impressive because she did it during a time that belittled any ground breaking work done by a female. Whether people realize it or not, she drastically changed the way we understand the Earth and the way people look at the work of females. As a female researcher who wants to get my PhD and spend the rest of my life studying the Earth, I find it hard at times just to motivate myself to keep going down this path of endless studying, reading, and working. I realize my struggles are trivial compared to Marie’s. She conducted great science all while battling sexism. Before 1970, women made up less than 4% of all doctorate earth scientists, as they were discouraged from studying geoscience. Despite society telling her to pursue other work, Marie did what she could to contribute to geoscience. She worked as a drafter at Columbia University. Because she was not allowed on the ships that were gathering data in the field, she stayed in New York where the men would send the data they were collecting from the ship. The men on the ship, which set sail in 1953, were collecting sonar data to determine how deep the ocean floor was and to understand ocean floor topography. At the time, they assumed the ocean floor was flat because they had no data to believe otherwise. The ship spent years sailing around the world and sending data to Columbia. Marie spent just as much time back in New York crunching the numbers and turning the data into a map of the ocean floor. Because this was a time before computers, Marie mapped out each point by hand. Her first major discovery was the giant rift valley down the bottom of the Atlantic Ocean–what is now called the mid-Atlantic ridge. This had never been previously discovered but is now known as the fault line where the Eurasian and North American tectonic plates are pulling apart. As she continued to draw out the data, she saw more of these large topographic features on the ocean floor. When Marie completed the map, she showed it to the men that were on the ship and they dismissed the theory of continental drift as “girl talk” and refused to believe that she analyzed the data correctly. A few decades earlier, Alfred Wegener proposed the idea of continental drift but it was largely rejected due to lack of sufficient data. Even now, with a map of ocean topography showing robust evidence for continental drift, the theory was still rejected because the evidence was proposed by a woman. Marie was forced to check and recheck her work for months due to their pessimism of the quality of her work. 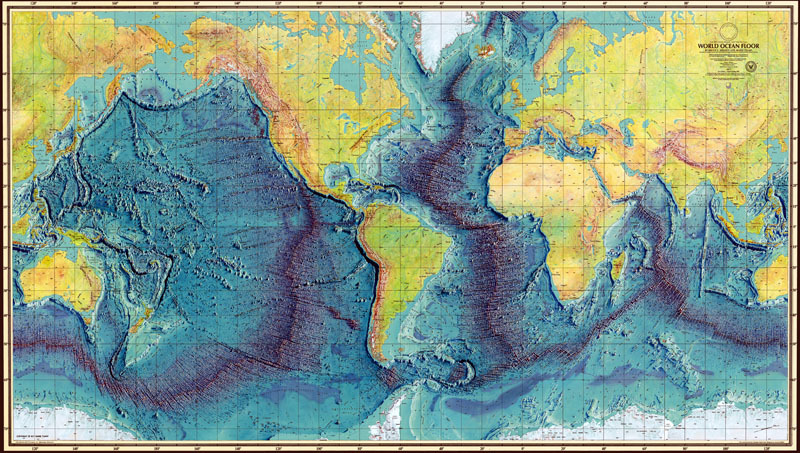 It was not until over a year later that people started to accept her map and her theory, when seismic data was collected at the bottom of the Atlantic Ocean supporting her map of the mid-Atlantic ridge. By 1959, the map was widely accepted and published. However even when her map was accepted, she was largely cheated out of credit for her work. The collectors of the sonar data were the primary owners of the map, with Marie receiving partial credit for her years and years of analysis and mapping. 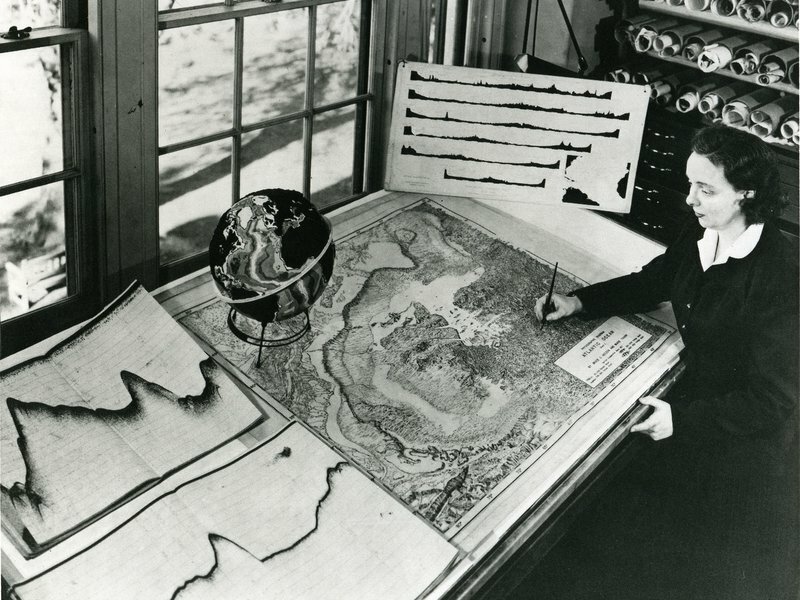 Not only did she solely calculate and draft the topographic data, but she was responsible for igniting the acceptance of the theory of continental drift. She revolutionized the way we see the Earth today, yet received minimal credit, pay, and status in the scientific community. Only within the last few decades has Tharp been credited for her significant contributions to geological sciences. Her name is now the primary author on most ocean bathymetry maps, as it should be. These maps are seen all over the world and are used to understand tectonic plate dynamics, predict earthquakes, and so much more, to better understand both the past and future of our beloved planet Earth.